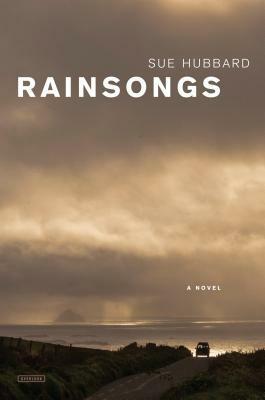 Rainsongs by Sue Hubbard is a highly recommended, beautifully written novel about loss, love, healing, and life. After the death of her husband in December 2007, Martha Cassidy has returned to her husband's remote cottage where he went to write. It is near a tiny, remote village on the west coast of Ireland in County Kerry. Off the coast are the Skelligs, a group of barren islands occupied by monks in 520 AD. Once at the cottage, Martha sorts through her husband's belongings and reflects on her husband, his life, his infidelities, but she also finally grieves the loss twenty years earlier of 10 year-old Bruno, her only child and that he never got to take a boat trip to the Skelligs. In this windswept headland, there are other contemporary outside forces that insert themselves into Martha's consciousness. A successful developer, Eugene Riordan, wants to buy up all the farmland on the coast and build a spa resort. Older local hill farmer Paddy O'Connell quietly refuses to sell to him and ends up injured under mysterious circumstances. Riordan also wants part of Martha's land but she manages to put him off. Martha also befriends local musician and poet, Colm, who doesn't want to lose the rural area's way of life. The descriptions of the landscape and setting are exquisitely crafted and certainly show Hubbard's poetic turn of phrase. Beyond Martha, the beautiful, rugged landscape is truly a main character. The loss of a way of life and rural setting may have to be mourned if the farmland is sold and the development changes the area and the beauty of the remote area. The plot is quite simple and quiet. Martha is a clear-headed woman dealing with more than a few memories, good and bad, and grieving her losses and what could have been. This is a lamentation of the loss of a husband and son. Martha must sort through memories as she sorts through things, and she must negotiate with her grief and feelings to set a course to her future. She is a well-developed character and we know her inner thoughts and musings as she does what she needs to do at the cottage in order to go on with her life. The other characters, beyond the landscape, are all more caricatures for several archetypal characters. Disclosure: My review copy was courtesy of The Overlook Press.